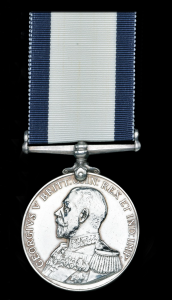 Instituted by Royal Warrant on 7 July 1874, the Conspicuous Gallantry Medal (CGM) was awarded to non-commissioned officers and men of Britain and her Empire for conspicuous gallantry in action against the enemy at sea or in the air. 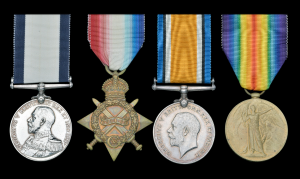 The medal was the other ranks’ equivalent of the Distinguished Service Order (DSO) and was ranked between the British Army’s Distinguished Conduct Medal (DCM) and the Distinguished Service Medal (DSM) in terms of prestige.  A Bar was also introduced to recognise further actions of gallantry by those who alredy held the medal, and all awards were notified with citations in The London Gazette.  The CGM is a circular medal, 36mm in diameter, cast from solid silver. 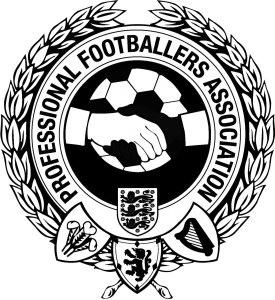 The obverse bears the head of King George V, without his crown, and is surrounded by the Royal Cypher. 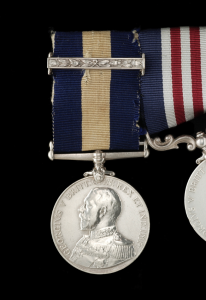 On the reverse of the medal, the words ‘FOR CONSPICUOUS GALLANTRY’ are impressed in three lines which are encircled by a laurel wreath and surmounted by a crown. 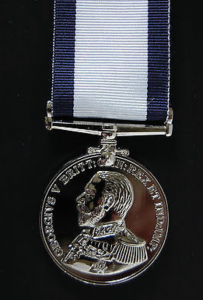 The medal is suspended from its ribbon, which consists of two stripes of dark blue flanking a central white stripe, by an ornate scroll-type clasp. 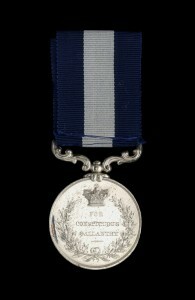 The Royal Air Force version was awarded with a ribbon of sky blue with narrow dark blue edge stripes.